Rich transparent color, faded and suspended in thick clear glass. 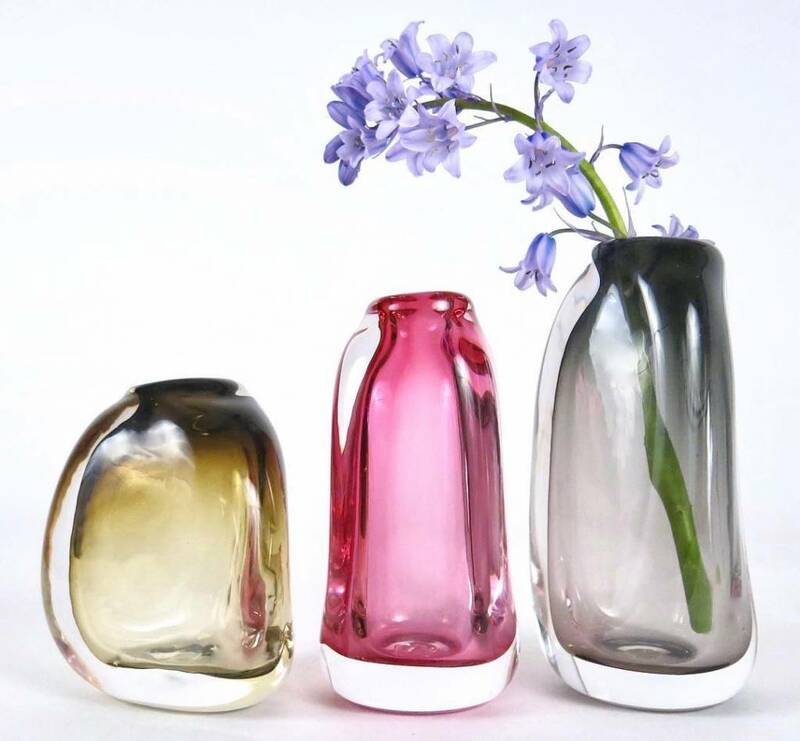 These vases illustrate glass in its truest form, flowing and seeming still molten. Fill with a single flower or wild branch and place in a windowsill or somewhere light can saturate its form. Each piece varies slightly in shape and size, choose one of three sizes Small, Medium Short, or Medium Slender. The Small will measure 3.5-4" tall, Medium Slender will be 5". A Bale Fire is a pagan tradition of a bonfire on the weekly sabbath. A bale of hay is set ablaze and for that the community comes together to do ceremony, celebrate, create, and this magical signal fire can send messages to brethren far and wide. BaleFire Glass is a line of sacred art objects designed and hand made by Robbie Frankel in Portland, Oregon. 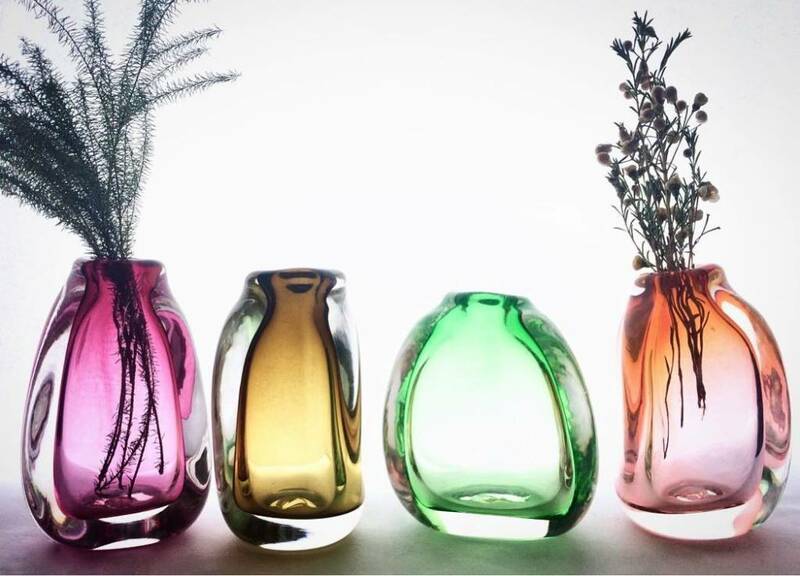 Each object is a sculpture in itself, organic, visceral, bringing glass art into the home. 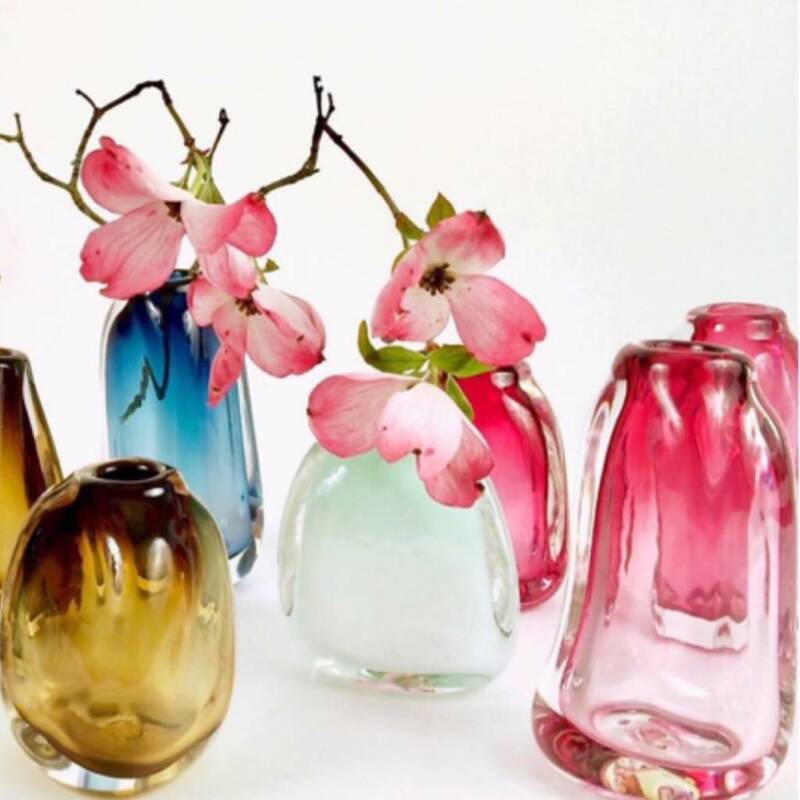 With more than ten years glassblowing experience Robbie lets the glass guide the process. 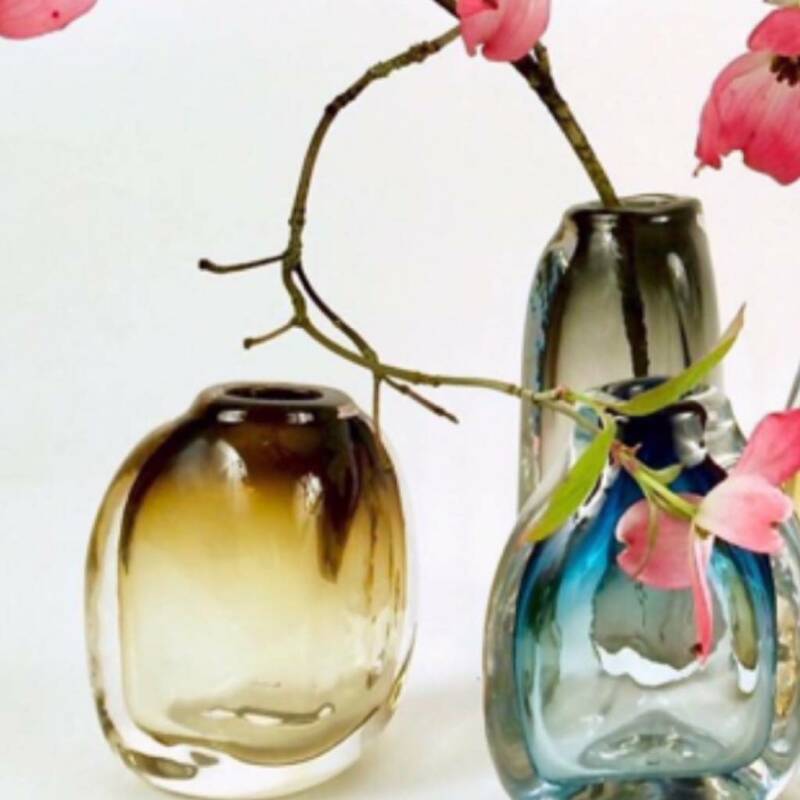 Through experimentation and non-traditional color techniques these home goods have a feel and look like no other.